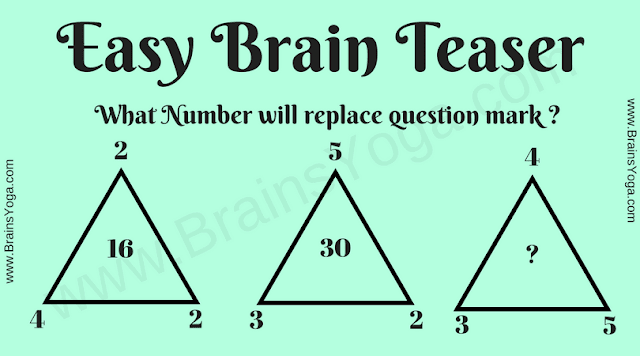 This is an easy Math Brain Teaser for Kids. In this quick puzzle numbers around and inside triangles is given. Can you find the relationship between these numbers and then find the missing number in last triangle? What number will replace question mark? The Answer is 60. Number in the center of the triangles is multiplication of all the number on the corners.